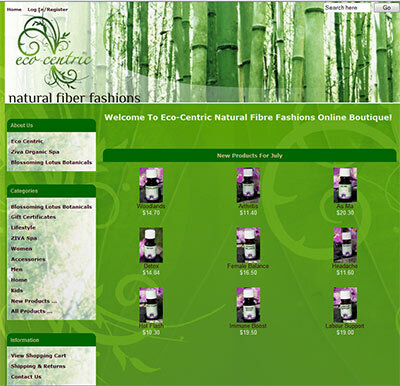 Scott eSolutions Ltd. created an online store for an existing retail clothing store. Starting with a Zen-Cart foundation, some development provided solutions to goals the management at Eco~Centric wanted to acheive. Customers can now buy products online that were previously only available in the store in Courtenay, BC.